Best DOCTOR WHO News Possible Right Now! Matt Smith, the reigning 11th Doctor, has told the new issue of the UK’s Radio Times that he is sticking around for a while! This confirms that we won’t have to say goodbye to floppy-haired incarnation of the Doctor in the 50th anniversary special — or anytime soon. Steven Moffat has done it again: He’s gone and created a wonderful prequel, this one for the second half of season seven — specifically the first story back, “The Bells of Saint John.” This piece has many things going for it: It’s short; it’s charming; and it provides another hint about the nature of Jenna-Louise Coleman’s Clara. I love Matt Smith’s performance in this — all melancholy about “losing” Clara so soon after really losing Amy and Rory. And there’s just something about the way his 11th Doctor sparks with children; it’s a wonderful connection for a Doctor to have. Don’t miss “The Bells of Saint John” this Saturday at 8 p.m. on BBC America. Finally! First Footage from Riddick! Every time that I’m reminded of the forthcoming Pitch Black sequel, Riddick, I get excited about it — but the production is so tightly under wraps that leaks have been few and far between, meaning the movie is mostly out of sight and out of mind. But that should be changing — starting now, with the very first teaser trailer for Riddick, which catches up with the title character sometime after 2004’s The Chronicles of Riddick. The best part is that writer/director David Twohy is back, and both he and star Vin Diesel want to take the movie back to its Pitch Black roots. Who was the MVP of the earliest days of DOCTOR WHO? Recently uncovered evidence suggests that perhaps writer Anthony Coburn — best-remembered for scripting the first ever story, “An Unearthly Child” — deserves a lot more credit for the series’ mythos than he has been given credit for before. 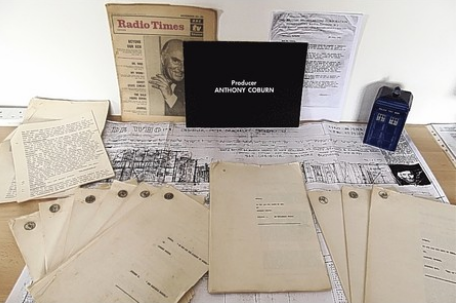 A box of never-before-seen scripts and paperwork belonging to Coburn was uncovered in the British town of Herne Bay, and the materials suggest that Coburn conceived the TARDIS after seeing a police box near BBC headquarters. The discovery was made by prop-maker and lifelong WHO fan Jason Onion, who was researching the town’s connection to the long-running series. 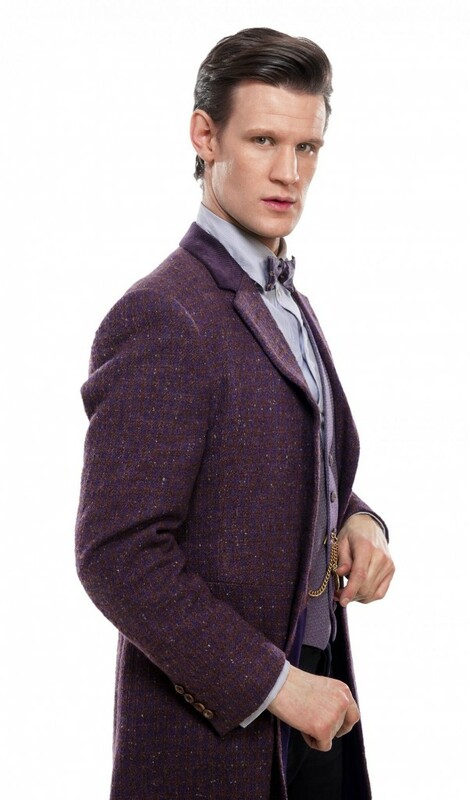 Attack of the DOCTOR WHO Promo Photos! If your appetite has been whetted, DOCTOR WHO returns to BBC America on Easter Saturday, March 30, at 8 p.m.
Are You Looking Forward to ORPHAN BLACK? This ORPHAN BLACK show looks pretty promising. It’s an original series from BBC America that will premiere after the return of DOCTOR WHO on March 30. The series focuses on Sarah (Tatiana Maslany), who discovers she is one of a number of clones — but has no idea when or why any of this happened. She stumbles onto the secret in this clip when she meets Beth, a familiar face, at a train station. Sarah decides to uncover the truth about her clones, and when it leads to a twisted conspiracy she has to struggle to stay alive.